One could be surprised it took as long as it did for Benji to get sick. 2 of his sisters have been sick all week. Praying he recovers quickly and that we have no complications. 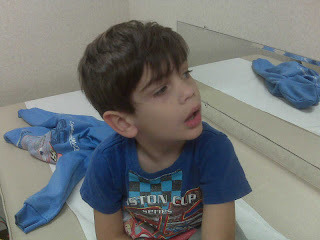 He is on tamiflu, so hopefully we will kick this quickly.